I had not heard from Starla since last year and I figured that the well had run dry — that there were no more student femulations to be dredged up from the online high school yearbooks. So it was a surprise to receive an e-mail from Starla over the weekend with 106 new photos attached. Hands down, Miss Todd Matlock (pictured right) wins the Most Likely to Still Be Femulating Today Award from this latest batch of photos, which are now posted on flickr. 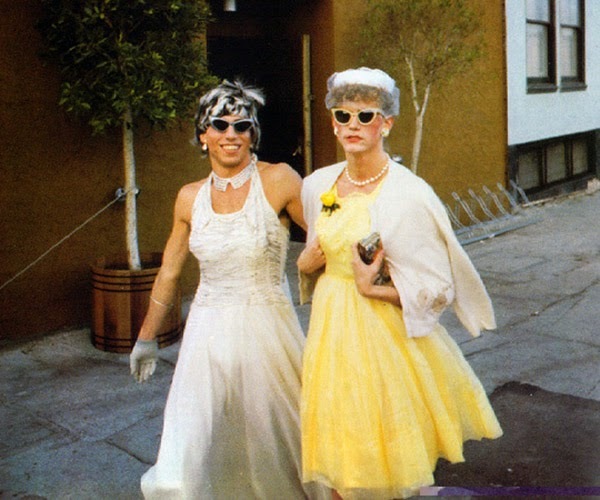 Two femulators out and about in 1978. Indeed, Miss Todd is quite attractive. I hope she goes on to a great femulating career.